Oh dear, our van really needs a major overhaul I guess. My brother is actually getting piqued over it for the last months or so. A van with no aircon and a squeaky sound somewhere is already a sign that it needs to be seen by a professional motor technician already. If that isn’t enough, just like the other day a drop of oil in the garage is very visible. I brought this to my brother’s attention and he’s gonna bring the van asap for repair. I’m not sure when but I hope the technician can also take a major inspection of the van so that it will not give us a headache anymore. It looks like the air intake systems are needed to be checked as well and if the van will only give us lot of repairs, I guess i have to tell my mom and bro that there’s no choice but to sell it and have it replaced. All along we thought we hit a jackpot when we bought it last Oct. of last year because the interior was great and the performance is ok during the first few months. We have not been using it long distance so there’s no reason why the engine will fail that fast. I hope it can be fixed asap. How many of you here have been bitten by the iPhone, iPad, iPod bug? I've been hearing people whine over their financial problems most of the times and I can't blame them for doing so because there are really times when we have to tighten our belts just to make both ends meet. A household with kids in school and there's only one who is earning can really be tough at times. I have seen it on some of my friends and they really need to make an effort to at least meet all the bills that they have. as an investment and I reckon if they want to venture into that they need to read more info at US Gold Bureau because it is a great source for gold in form of coins and bullion. Have you noticed that there are quite a lot of businesses today that are exerting all their means to advertise their products or services? From simple print ads, to TV commercials, online ads and more, they want to be been and heard. I don’t think there’s a business owner that will just rely from walk in customers. You’ve got to be out and advertise. Aside from having a good product or service, a catchy logo or phrase can do the trick. Some companies are also giving away promotional shirts, mugs, stickers and more to spread the word. Good impression also matters and isn’t it nice to see employees donning nice uniforms at work? If you have a business, you’ve got to invest in your employees as well as the wardrobe that they’ll be wearing because it reflects your business. Technology has really been making our lives a little easier. Gadgets like computers and cellphones have become readily available to all of us. I was simply marveled with the recent release of those phones where anyone can use it as phone, to chat and surf the internet. Aside from that it has the capacity to load music, movies, games and even serve as an e-book reader. Perfect for those who love to read so much because they don’t need to carry their books in their bags when they feel like reading anywhere. Now, you’ll never notice that you’ve already standing in line for hours because you’re preoccupied reading an e-book on your phone. No more book collections at home that eat space and collect dusts because e-book publishing is here already. Furthermore, buying e-books is rather less expensive than the hardbound books. You now have more reason to indulge yourself in reading. As you can see my niece is excited to help me in the kitchen. 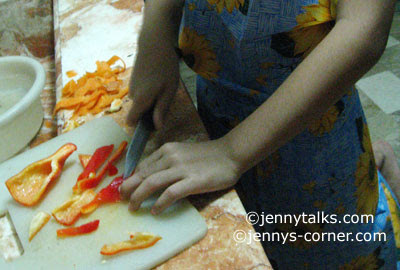 It was last summer when she was so eager to lend a helping hand in the kitchen with me. 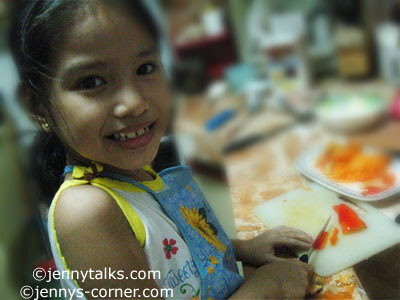 She asked me to teach her how to cut and peel veggies. 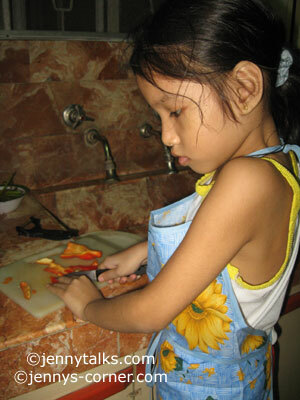 I'm afraid that she'll cut her fingers but fortunately I told her to be careful and guided her along the way. We had a bbq lunch yesterday at my brother’s place and I brought along my dog Sophie to be with us bec. I could not bear leaving her in the cage yesterday. The minute I got her leash she knew that she’ll come with us and I could her tail wagging so hard because she was so happy. She was on my lap at the van and since the aircon is broken, all windows are open so Sophie was so eager to look at the window. The half of her body was out and I think she loves the rush of the wind on her face hehe. She looks so cute and tamed that no one needs any protective clothing just to hold her. She was so playful the whole day and I must say she enjoyed her day out with us. I just so love her! (I will share photos of her next time. All of us have a different passion in life and we should know what it is so we can put our hearts and effort in to doing what we love. In my case, I love blogging, digi-photography, digi-scrapbooking and graphic designing as it give me a certain euphoria and satisfaction. Others find their strength in cooking and I must say that my hats goes off to great cooks and chefs out there. Though I can cook simple foods, nothing beats the food that professional chefs can make. I also remember my nephew telling us that he wanted to be a chef and wear a chef coat one day. I noticed that there are more culinary schools these days and those who love cooking will a great venue where they can learn and hone their cooking skills. Hey all how's your weekend with your dads/husband? We did celebrate father's day last Sunday because I have 2 brothers who are dads already. Ahhh I wish my dad was still here so that we'll be able to celebrate Father's Day yesterday with him. We just had a simple celebration for lunch. Bro barbequed some chicken and liempo while my sister-in- law cooked pork nilaga. For dessert we tried Red ribbon's choco melt down and it was good. After the very filling lunch, we dropped by the nearby mall w/o the kids to buy some school supplies and also to canvass for a Sharp and Samsung TV that can replace the one we had at the living room. After that Sunday, is always a time to relax a home watching TV till midnight. God wants you to know ... that tonight you can turn your worries to God, and have a good night's sleep. You've been worrying too much about the future lately. 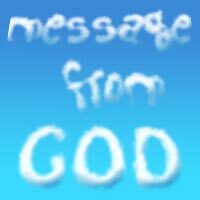 So tonight, go ahead, put your faith in God, and just have a peaceful evening and a restful sleep. Who would have thought that we’ll come to this age where technology can almost “run” our lives? The technology has brought us so much that sometimes it makes our lives a bit easier yet complicated in some ways. These days, people are armed with lots of gadgets that they found useful in their everyday lives. Cellphones in particular are so widely used all over the globe that I could not imagine myself not having one right now. I reckon that his is by far the easiest and fastest way to communicate to anyone. We can text or call using our mobile phones so easy and conveniently and for sure it is here to stay. In fact, there are lots of mobile phone manufacturers sprouting in the market and coming up with latest style and trends that will suit our mobile needs. Satellite phones are also big in the market and one great source of sat phone systems and accessories is satphone.com. Choose among the myriad of satellite communication devices by browsing the category and you’ll find handheld, fixed, aeronautical, maritime, fixed, vehicular and more. It’s a one stop shop for all your satellite phones, satellite internet and more. Now, wherever you go, keeping in touch with communications are very possible already. I’m not a lavish jewelry user but I do own some few pieces that I keep on my collection. I tend to go on simple jewelries for they exude elegance. I have some gold pieces and my favourite jewelry are pearls for they are so classy. I bought a nice piece of fresh water pearl earrings at my fave shopping mall many years ago and I still keep and use it until now. I reckon that every woman should own pearl jewelries for it adds beauty to any wardrobe and wearing pearls can jazz up any drab outfit. It is timeless, classic and elegant. Just beware of fake pearls that some shops are selling. If you love pearls, there are pretty much good source of pearl jewelries like pearl rings, pearl necklace , pearl, earrings, sets, bracelets and more at the mall and specialty shops. They only offer beautiful and quality pearls that they get from China and the Japan pearl farms. Their wide selection of pearl jewelries from big, small, round, oval, Hanadama, Akoya, Tahitians or freshwater pearls are enough to make me want for more. Women will certainly be allured with the pearl’s charm and their collection can match the discerning taste of every pearl lover. 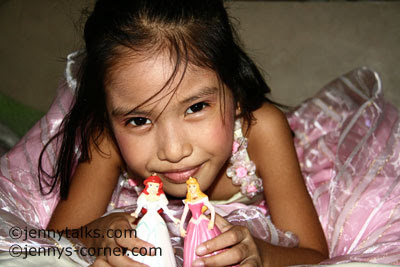 Aside from that their pearl education article can help their customers know more about pearls. Lord for all the blessings! Thank you.. thank you.. thank you! There have been many talks among my friends these days. Not only we talk about life in general, their kids and family, beauty regimen and all, we also have time to encourage each other when someone is down or experiencing some life’s problems. It’s always nice to have friends who’ll be supporting you all the way.
. I see no reason why gold is popular bec. its worth is still valuable in the market these days. Perhaps in the future, I can venture in some of these business options and see where it will lead me. Oh dear, isn’t this year’s summer the hottest ever? If you have read on some of my posts around April or May, you’ll notice that I’m always complaining about how hot our weather was. I’m not the only one whining since I’ve been hearing that from friends and reading it on other blogs. I guess when the temperature already reached as high as 37.4+ C, there’s no doubt that the heat will get into your head and it’ll make you complain. Seriously, it was said on the news that it was actually brought about by climate change and El Niño where extreme heat and drought strike us all. It was truly so uncomfortable and if you have no aircon at home just like us you’ll just need to turn your electric fan full blast but the wind that is giving out is hot as well. It feels like there’s a hot blower coming out of the fan. I bet most of the houses have their stand or ceiling fans on all day and if you have ceiling fans chances are they’re pretty much on as well as they can make the air more fresher. Aside from giving the room some air, ceiling fans from Hunter Fan Company also gives appeal to our homes. Summer is over and so is my so-called "vacation". I stayed at the house for most part of summer to work and just ask and let my sisterinlaw to take care of my small internet cafe. She agreed to do so I'm happy about it. While at home I had the luxury of working on my online works at my own time without much distractions. There are times when I'm alone at home with my dog Sophie so I had more time to do all my works but still do some houseworks. It's also nice working at home but it's boring as well. Anyway, now I'm back to my old routine since school days are back. What I don;t like about here in the shop is that it's kinda noisy bec. we're located along the main road and customers are coming in and out as well. Not that I don't like customers to come in but when I want to concentrate on my work, that's the time when I'm distracted. Maybe, in few more days, I can adjust to my old routine once again. If you own a dog or cat, you understand the problems fleas and ticks can create for both you and your pet. Frontline Plus, a topical medication you can purchase from your vet, keeps these pests at bay. Applied once a month to your pet, it will kill all adult fleas on the animal within 18 hours and 100 percent of all ticks within 48 hours. The medication contains S-methoprene, which destroys flea larvae and eggs. Many people consider fleas and ticks just part of the hassle that comes with pet ownership, but these pests can cause other health issues, such as allergic dermatitis, anemia, and Lyme disease. Caused by bacteria that enter your pet’s blood stream after the tick attaches to the skin, Lyme disease can produce symptoms such as fever, loss of appetite, and lethargy. In serious cases, Lyme disease can lead to progressive kidney disease and kidney failure. Several different Frontline products are available, including Frontline Spray, Frontline, and Frontline Plus. Used for severe flea and tick infestations, your vet will administer Frontline Spray in his office. With Frontline and Frontline Plus, you apply the product at home. The medications work on a monthly basis to prevent infestations. Safe for use in dogs over eight weeks old, you apply Frontline Plus underneath your pet's hair, between the shoulder blades. This prevents your pet from licking it off. The medication dissolves into the skin and coat of your pet. Over a 24-hour time frame, the Frontline Plus spreads across your pet’s body surface and settles in to the oil glands of the skin. During the coverage period, the glands secrete the active ingredients of the Frontline Plus into the skin and hair, protecting your dog against external pests. When applied correctly, Frontline Plus will protect your pet and give you peace of mind. Pottery Barn is a recognized name in home furnishings. You can get everything from outdoor patio furniture to bedroom sets and practically any kind of furniture you need for your home. Many of the items from Pottery Barn are handcrafted and unique so you can impress your family and friends. Use your Pottery Barn promo code to get something that is sure to be a conversation piece around your home. Pottery Barn specializes in all types of furnishings, and bedroom furniture is no exception. Whether you are looking for a stylish headboard to give your bedroom that extra special touch or some bedding accessories to complement your existing furniture, your Pottery Barn promo code can help you get a great deal. You can find a variety of quilts, sheet sets, shams, rugs and more that match your personality and your bedroom’s décor. If you have a Pottery Barn promo code, why not use it to purchase a gift for someone you love? Pottery Barn offers a variety of products that would be ideal for Mother’s Day, Father’s Day, graduations and even birthdays. You can get that special couple a keepsake from Pottery Barn to help them celebrate their wedding day or choose a gift from the full line of travel accessories or personalized items that will be cherished for years to come. Your Pottery Barn promo code can be for more than just exquisite furniture. 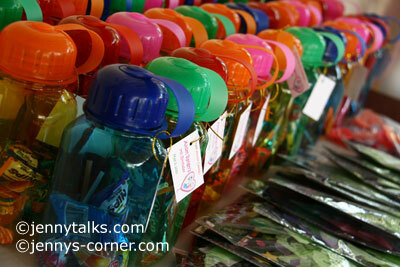 The company has an entire line of merchandise designed specifically for kids. You can decorate their bedrooms with quality beds or use Pottery Barn items throughout their playroom to help create a safe and fun environment. With your Pottery Barn promo code, you can save hundreds of dollars in a variety of ways by shopping through the company’s website. Use it today and see what kind of deals you can get. Hey everyone I hope you're all having a great weekend. Actually it's a long weekend here in our neck of the woods since it's still a national holiday till tomorrow. I am guessing that most of you are still on holiday somewhere or taking advantage of the extra day with your family since we all know that by Tuesday most of the students will be back in school already. Anyway, after attending the mass this morning, as usual we had lunch at my brother's place. I cooked my special chicken caldereta and not thinking about weight loss products or any dieting, I drowned myself by eating too much. We also had fried fish and salad. Though our lunch for this week is just simple, it's enough to make me full. Next week, we'll have a big feast once again bec. it's gonna be Father's day. Why Does My Company Need Postcard Printing? In today's day and age of email, Internet, and texting, the good, old fashioned ways of communicating have become a dying art! It might seem a bit out of date, but with postcard printing you can actually improve communication with your clients and grow your business. Check out some of the reasons why your company needs to print postcards. Think about how great it feels to receive a postcard from someone on vacation. The bright colors, the scenic picture, and the story of adventure your friend is having. Postcards brighten our days and transport us to a "happy" place. When you choose to use postcards at work, your client will have that same magical feeling. Your clients will automatically be transported to all the good things your company has to offer when they receive a postcard from you. Postcards are also a great way to thank your clients and customers. Nowadays, we are all about instant gratification. Very few people take the time to say thank you. A postcard is such an easy way to thank your customers. You get points for being thoughtful, and your client is left with a positive business image about your company. Plus, printing postcards is cheap! Compared to the thousands of dollars you may have budgeted for your marketing expenses, postcards are cheap and effective. You can send a simple marketing message to all of your clients for just a few dollars. Postcards can hold all sort of information, so don't forget to include them in your marketing efforts. They're also a great to just remind consumers that you're around, so you're not "out of sight, out of mind." The power of making a positive impression on your customers and clients cannot be overlooked. Postcards are an excellent way to show you care, to say thank you, and to share your company message. Look into postcards as a way to communicate your brand today! 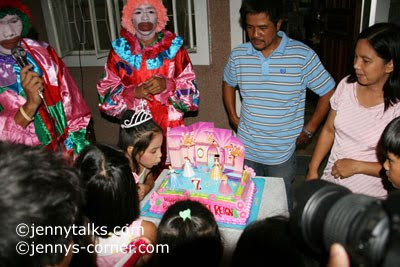 Just sharing some photos of the 7th Birthday of my niece Reign last May 2, 2010 that was held at our home. 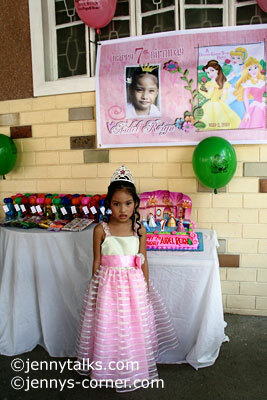 The theme of her party was Disney Princess. 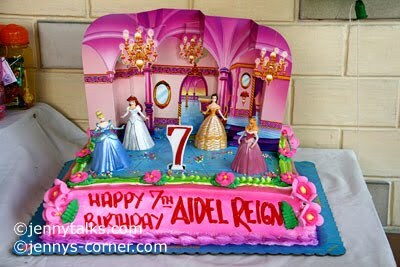 I ordered the cake at Goldilocks, her mom bought the dress at Robinson's mall while the give-aways are bought at Divisoria. Conducting the party at home is never so easy and we're glad that we have lots of relatives who helped in the preparation. 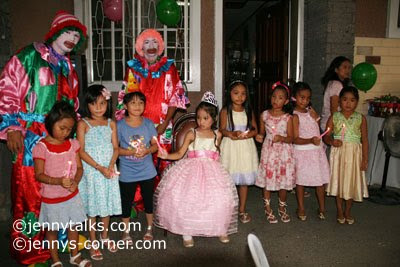 My niece and her guests had a great time on the party. There's lots of food, games and give away. She got more excited when she opened her gifts. My nephews and nieces will be back to school next week after a long summer vacation. 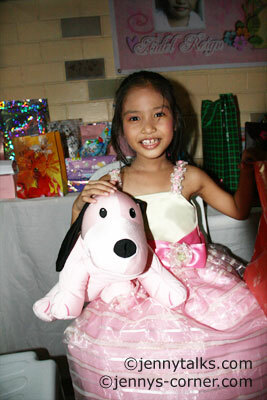 I know they are pretty much excited most especially they have new notebooks, books, bags and uniforms. I hope they’ll do their best to study well because not all kids have the privilege to study. We all know that knowledge is power so we should never stop learning. I’m fortunate to have finished my college studies and I’m hoping that everyone will be given that opportunity. You can either study at regular univ. in college or these days getting a degree online is also becoming popular. If you intend to study you can and possible college/univ that you can enroll. At CollegeDegreesToday, they are providing a comprehensive guide for us to find the right college or university and a list of degrees that we can peruse. 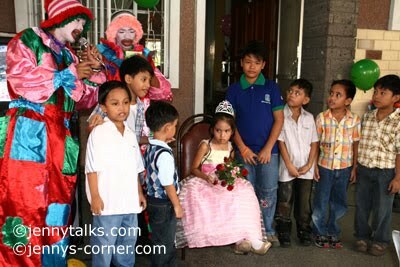 I've always been watching ANG PINAKA TV show weekly. It airs every Sunday at 6 pm at over at QTV11 and this week they've listed Ang PINAKA: Budget Friendly Tsibugan (Place to Eat). 5. Yen Yen Taiwan Street Food - Gilmore Ave. Q.C. Don’t you feel embarrassed when you have acne on your face? I do and most often than not it always rest below my lips and on my nose! Gosh I hate those times that I have them and when I see one surfaced, I have no choice but to find and grab my reliable cream. We all want to have smooth skin on face and I admire who have flawless one. I pity those that have big and acne on face and for sure they’re really finding a solution for that. Checking out www.acne-pills.net might help you but please don’t pop your pimple when you have one. I get pleasure from traveling most especially if it’s out of the country as I get to enjoy different culture, climate, food, shopping and lots more. It’s a nice reward that I can give to myself after working so hard whole year round. Though I have only been to few countries the memories and the experience that I got from them is priceless. It’s already stored in my memory and that will never be taken away. I have the pleasure to travel alone to Australia 3x already and had experienced their Australia tours with pure delight and I must say I love that country and even considered it as my second home since my sister and her family are citizen there now. I really wish I can go back at OZ land maybe next year or the year thereafter. 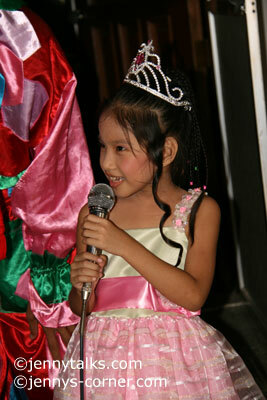 Aside from that, our whole family went to Hongkong last Dec. 2009 which are days before Christmas. We all had a blast and we definitely want more Asian tour maybe next time in Singapore if God permits. These days, looking for great place to travel and affordable tour packages like national tours, canada etc. by Collette Vacations are quite easy to find already. Aside from that they have escorted tours and tour packages all over the world for travelers to enjoy. Their website is a great source of information and tour packages when you want to travel. I just hope that our family will be blessed by traveling again in the future. I've been busy lately aside from online and offline works. I'm also back to digital scrapbooking designing and I'm loving it. I'm actually so inspired lately and I have done 3 kits already in the last 3 weeks. Not bad for a designer who is coming back like me hehe. 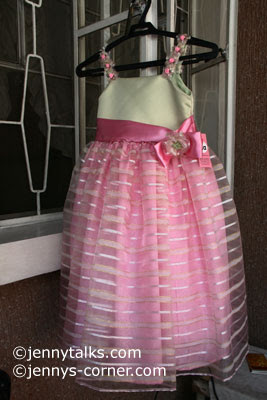 I'm so thrilled that my designing skills are still in me and though it is it rusty already, I still have made it work. I remember last week, I was designing the whole day eventhough my eyes and my back are killing me already but I enjoyed it. You can see sample of my work at my digi-scrapping blog. I can say that I’m a penny pincher and as much as possible, I will not shell out big money unless it is really necessary. I’m also not the right person if you want to borrow some money hehe. My relatives know about it and as much as possible they will not come to me if it is not really needed but of course I have a soft side because I always give it to their request. I’m just tight with money I suppose, because I know how hard it is to work and earn. Securing our future is a must and there are those that put their money on time deposits in banks while others invest in something. I know some people who invest on real properties while others buy gold coins as a form of investment. I guess gold is fairly a good choice since we all know that its value in the market is enormous. I've been working at home for the last month already and this has also changed my daily routine. I love working in the morning and probably sneaked on doing some kit designing and scrapping in between. I also had the chance to take a nap after lunch time and I'm this is one thing that I'll miss when my old work schedule will be back in 2 weeks time. I also found myself staying up late all day till 12 midnight or there are times that I've even stayed until 2:00 am. Yay.. yeah I know, it's not good for the health but when I slept late then I'll wake up late as well, so that means I still have 6 to 7 hours of sleep. I also noticed that my wrinkles and dark circles around my eyes already needed some wrinkle cream since I'm not also getting any younger. Eventhough, I'm staying up late due to work or simply because I can't stop browsing online or designing, I still love my work because I can have all the time in the world and have no boss that will direct me on what to do.